Lenovo refuses to say if it will buy BlackBerry. Here's why it should. Lenovo refuses to say if it will buy BlackBerry. Here’s why it should. Chinese firm Lenovo currently faces a dilemma. As its Q1 financials reveal, it’s excelling in PCs and laptops at a time when most other firms are falling behind, and doing good-but-not-great in mobile. 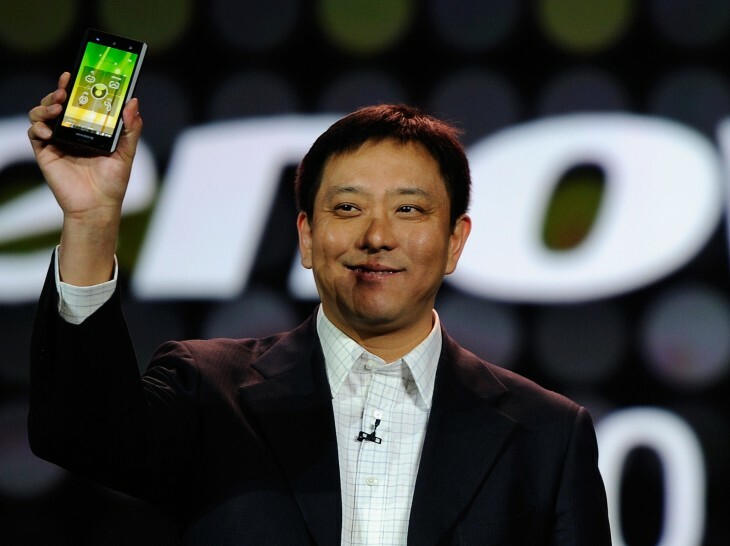 What can Lenovo do to improve its position in the mobile space? The solution might rest in BlackBerry. The market is changing in the tablet and smartphone industry. The emphasis is shifting from premium to mainstream, and from mature markets to emerging markets. Customers’ smartphone replacement cycles are getting faster. More consumers are buying new phones every year or sometimes every six months. I believe these changes favor Lenovo’s business model. Our product portfolio covers all price points. Our in-house production makes speedy product development and updates possible. I believe that we can still grow fast organically. But if we see an opportunity for an acquisition that is consistent with our strategy, we would like to consider it. When asked if Lenovo would consider BlackBerry as a potential acquisition Yuan dodged the question nimbly and politely, as one would expect. However, even if WSJ’s question was posed as an afterthought, it would still be wise for Yuan and Lenovo about taking the struggling Canadian firm under its wings. Yuan admitted that while smart device sales were strong in China, the company still has room to grow outside its domestic borders. BlackBerry, meanwhile, has a broadly international userbase with strongholds in Africa and India (though sales are slipping in the latter country). Acquiring BlackBerry would be an easy way for Lenovo to deepen its roots in the markets where it has the most potential to grow – picking up where BlackBerry left off, so to speak. In addition, both companies have their roots in enterprise. Lenovo’s Flagship ThinkPad laptop saw enormous success in schools and businesses. BlackBerry, meanwhile, originated as an enterprise-first company, as it deliberately built an OS with security as a main selling point and started marketing to corporations aggressively from the get go. It’s not yet clear how enterprises will adapt to the tablet era – most businesses still run their operations on painfully outdated versions of Windows – but since both firms have expertise in crafting products to fit the enterprise niche, purchasing BlackBerry could help Lenovo fill this fledgling space. In addition, as an early innovator in mobile, BlackBerry has its own homegrown mobile-only hardware, firmware, and software. That, and lots and lots of patents, thousands of which have been accumulated over the course of years. By acquiring BlackBerry, Lenovo can access a more diverse bunch of resources and intellectual property. It can then experiment with innovation in hopes of distinguishing itself in the smart device market, which is growing increasingly saturated with run-of-the-mill, mid-tier Android devices. Of course, some will be quick to point out the irony of BlackBerry, the standard-bearer for security, getting bought by Lenovo, a Chinese firm. However, given that the firm has already started sharing some user data with certain governments, politics will unlikely play a role in any negotiations that take place. Thoughts of Lenovo acquiring Blackberry have occurred to others before, but with BlackBerry officially looking to go private, such rumblings are sure to emerge again. While Lenovo is certain to remain tight lipped, it nevertheless stands out as one firm well-poised to pick up BlackBerry’s assets. Read next: O2, Vodafone, Three, EE: Which mobile carrier offers the cheapest 4G plans in the UK?